Not even two weeks ago, it was -20°F here in our corner of the world. Just a week after that, it was nearly 60°F and raining. None of us here know what to make of the weather these days, including Evan. Soon after we got all that rain, the temperature dropped back down to well below freezing. That's the day the world became an ice rink. Isn't this weather so much fun? 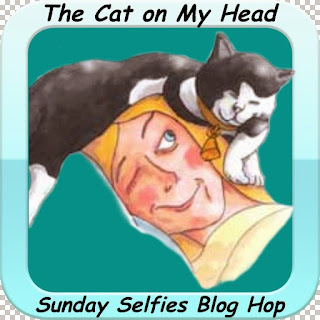 Evan's rainy day selfies are of course his contribution to the Sunday Selfies blog hop, hosted by the Kitties Blue over at The Cat on My Head. Be sure to pay them a visit and see the fabulous selfies snapped by all of our friends! We hope all of you are staying warm and dry, and enjoying lots of well-deserved naps! Today's doodle is almost the last one in my series inspired by my lifelong enjoyment of the Harry Potter series. My previous doodles in this series were a result of my belief that these books need more cats, and so I gave it more cats. Today's doodle, though, is inspired by one of the actual cat characters already in the books. In the third installment of the Harry Potter series, the bookish character known as Hermione Granger finds herself what is loosely described as a giant, fuzzy orange cat who is a tad bit cantankerous. This cat is named Crookshanks, and I am a huge fan of Crookshanks. 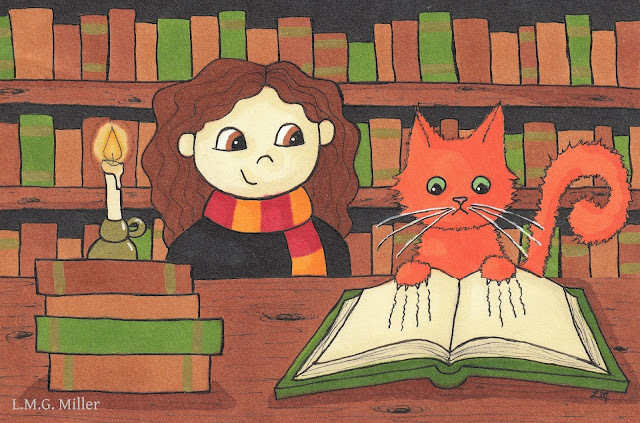 Thankfully, Crookshanks is not the only recurring cat character in the Harry Potter series, and tomorrow's doodle will star one of the other cats who makes frequent appearances in the books. After that, we'll have for you all a couple of Valentine's doodles. This here human is admittedly not really into Valentine's Day, but somehow Valentine's doodles have appeared in my sketchbook regardless. Yesterday, our first tip for National Cat Health Month was to make sure your kitty is examined by a veterinarian at least once a year. 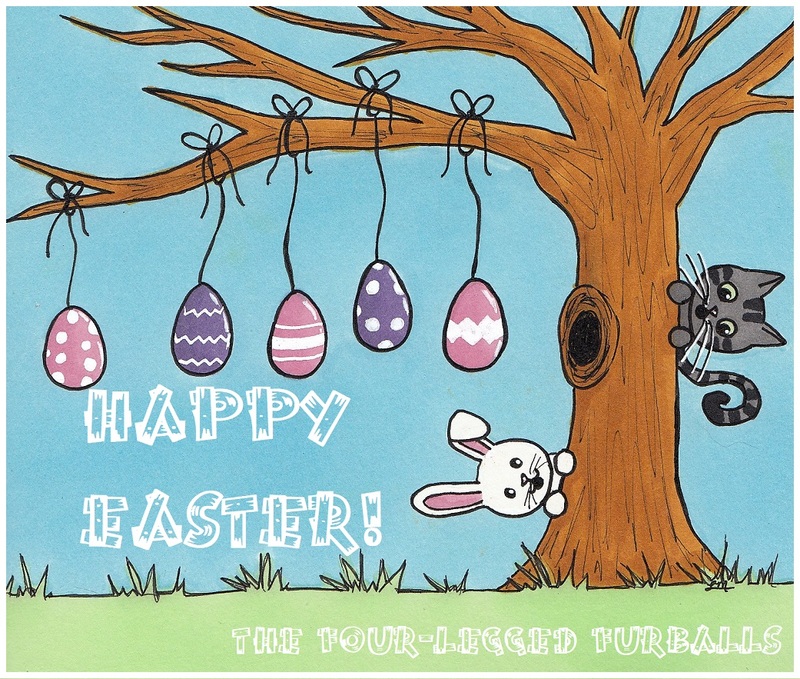 Today, our tip is to also remember to be diligent of your kitty's health in between vet visits. You know your kitty best, and you spend lots of time by his or her side. So, do be sure to do frequent observations and checks of their actions, behaviors, and overall health and happiness. For example, keep an eye on how much your kitty is eating and drinking, and make note of any changes in their food or water intake. In addition, check that litter box and take note of any changes there, such as the amount of urine or feces, or even the odor. Or, has your kitty become less active, or more active? What about the way they walk? Are they walking abnormally, such as favoring a foot? Do they still jump as often and as well as they used to? What about their vocalizations? Is your kitty more vocal than he or she used to be? Less vocal? Has the sound of their voice changed? Is your kitty hiding more often? Has he or she become more aggressive, or less tolerant of being petted or held? These are all just examples of things that you, as your kitty's companion, should keep an eye on regularly. Any such changes, even subtle ones, could be indicative of disease, injury, or any number of issues. So, do be sure to make observations such as these, and report any concerns, no matter how big or how small, to your veterinarian. The weather your way sure hasn't been much fun the last few weeks, has it. As an outdoor gal I do not relish it being made to stay in, but needs must when nature calls the shots. Stay safe and warm, and keep up all those nice selfies, Evan. Crookshanks is the best. We are looking forward to seeing which other Harry Potter character you will be drawing tomorrow! Evan, you look stunning in the winter light. Stay cozy warm handsome. Sure sounds like your weather is jumping all around but it is doing the same here. Hope things get better for all of you. Same thing here! Friday night everything was frozen and the wind was so hard you could stand in one place and suddenly be in motion without even trying! Evan is a cutie, he does look surprised at the weather. Cute drawing. And excellent tips, as always. Hi, rain isn't the most fun but at least it's something that you don't usually have to shovel. Ice is no fun for humans or animals. Best to stay inside until the weathger dries out a bit. At least the weather changes give us something to talk about. Crookshanks is one of my favorites, he kept trying to eat Scabbers, if i remember right. He knew a bad guy when he saw one. Evan looks totally baffled! I know I would be too, it sounds weird! I'm not keen on getting my Princess Slippers wet so I do NOT luffs the rain! Mommy says this is good staying inside and reading weather. Crookshanks was the name of the character that Cary Grant played in the movie, "Charade", with Audrey Hepburn. While not a Hitchcock film, it was an excellent, sit-on-the-edge-of-your-seat film! Dealing with the weather is like being at an amusement park...it's a real roller coaster ride!